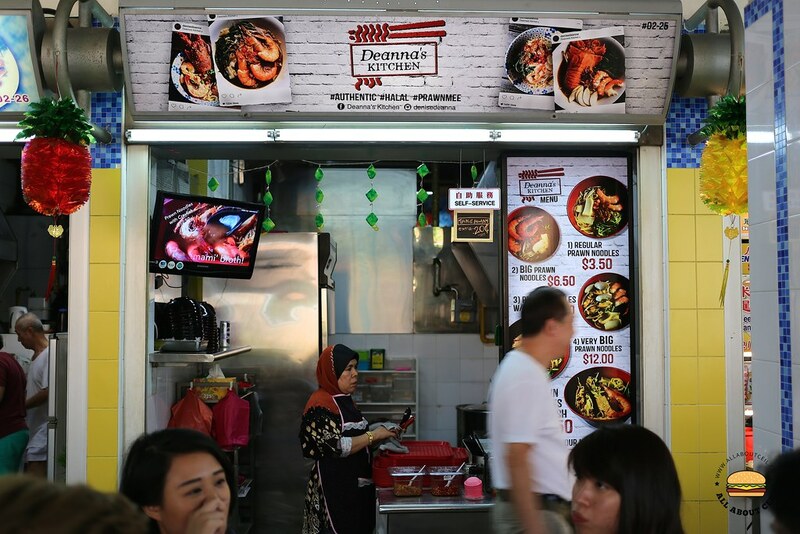 This Muslim-owned stall opened on 9 June 2017 in the Toa Payoh West Food Centre at Toa Payoh Lorong 1, serving Halal Prawn Mee. Denise Chew, the owner, is a Chinese that converted to Muslim. I mentioned about this stall to a friend and he said, "Are you sure this is going to be nice since there is no fried pork lards added to it?" I invited this friend to come along with me when visiting this stall on a weekday. There was no other customer when we were there during lunch. Denise is still working full-time so the stall is manned by Asri, her husband, and even so, she will come in the morning as early as 4 am to do the preparation including cooking the soup before she goes to work and back to the stall in the evening after work. I ordered the Big Prawn Noodles at $6.50, the number 2 item on their menu board, the other choices are Regular Prawn Noodles ($3.50), Prawn Noodles with Clams ($6.50), Very Big Prawn Noodles ($12.00) and Prawn Noodles with Crayfish ($12.50) that was sold out. I was asked, "What type of noodles? Do you want kang kong and bean sprouts?" I decided to go with the yellow noodles with kang kong and bean sprouts added. 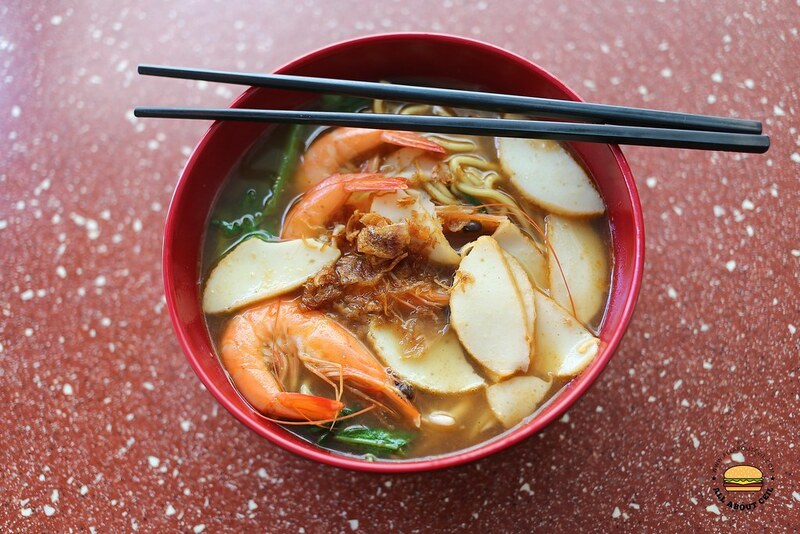 The Big Prawn Noodles came with 4 pieces of medium-sized prawns that tasted very fresh with slices of fishcake, kang kong and bean sprouts. My friend tasted it and he said, "It is very nice." And, I asked, "What is so nice about it?" 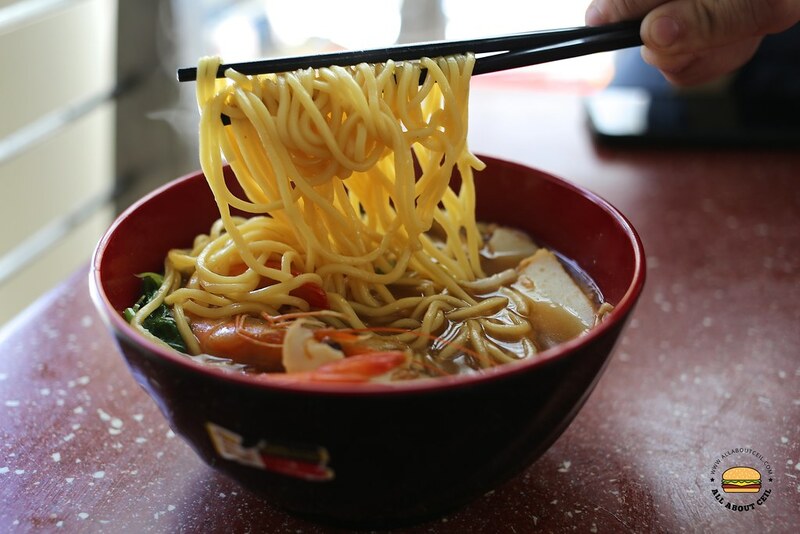 He said, "The broth has an intense flavour with a nice sweetness. I wonder did they added MSG to enhance its flavour?" He said, "We should also try the dry version." The broth is the best part of this dish, it tasted rich and flavorful even without using the pork bone to boil it, which is usually part of the main ingredients. I went back to the stall and was told that there is no dry version at this moment as they do not have enough manpower to cater it. Asri said, "I even get my auntie to help out." I said, "The broth is flavorful with a nice sweetness." He pointed to a big pot right behind and he said that almost half of the pot consists of the ingredients like prawn heads, shells and chicken. He said, "We boil it for 6 hours to bring out the flavour." I told him that the noodles were cooked just right to the desired texture and it was enjoyable. He mentioned that consistency is important but when there is a crowd, it is slightly difficult to maintain it and even so, they are striving to keep up the standard. And, they fry their own dried shallots to ensure quality food is being served despite it is time-consuming and a laborious process. They also do not reuse the oil to fry another batch but using the same oil to fry the prawn heads and shells so it will have the fragrance of the shallots. 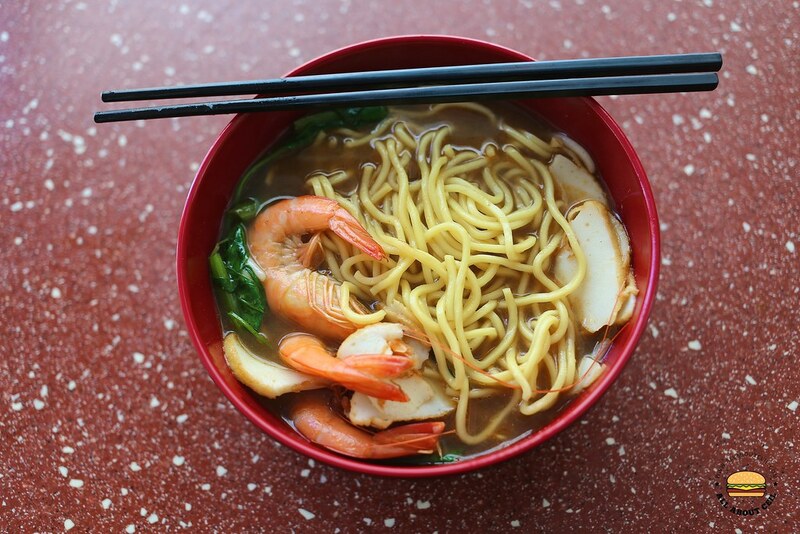 This is likely to be the first ever Halal prawn mee and is definitely worth the try.